For my Crazy Monster Mixer book app. Here’s an idea for the scary monster robot. He’ll be built section by section by pressing operator buttons. 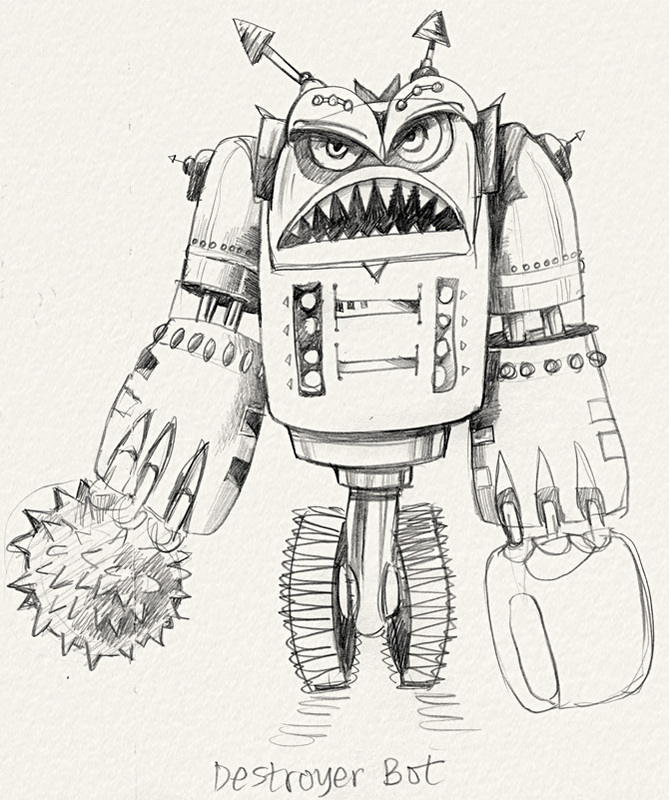 Check out the finished artwork for this cute crazy robot, in the App. section.